CTL Seal are assembling a kit of bits around the frames in order to plan the assembly. Here the vertical frame stretcher and boiler carrier is being craned. 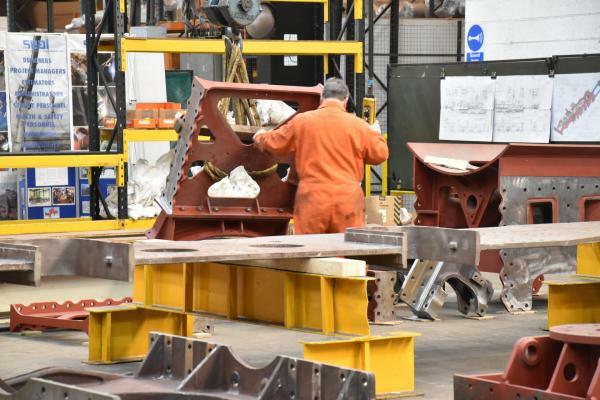 On the right you can see the smokebox saddle, below that the front cast frame stretcher. Bottom right is the dragbox (upside down) with the flange for the centring pin for the pony truck (or trailing truck). In the front left is the rear cast frame stretcher. We are really fortunate in being able to build Hengist in a factory with lots of room. Here you can see that the British Railways frame drawings have been pinned up on boards so that all of the relevant drawings are easily to hand. The coloured drawings are from our bolting plan document which has been produced from the 3D CAD model of the frames by Keith Greenhow, our 3D CAD expert. You can make out the cross references to each sheet of the bolting plan on the drawing. 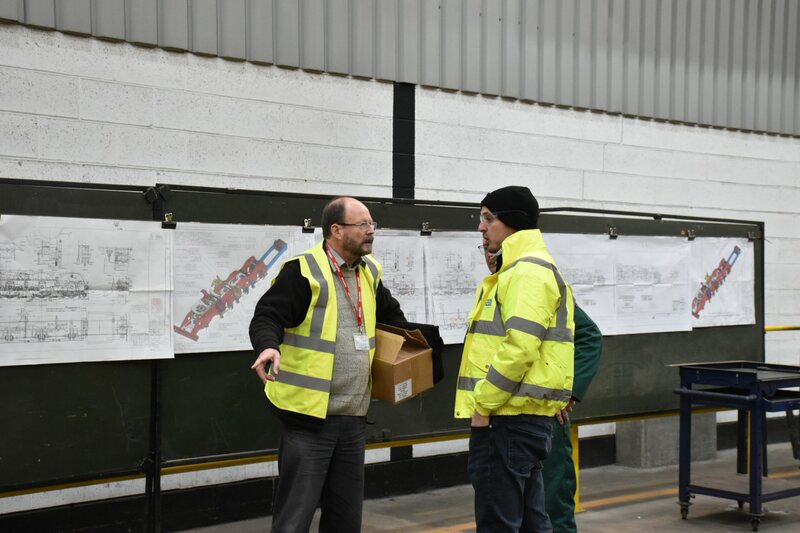 Here Luke England from CTL Seal - who is managing the assembly - discuss the procedure with Geoff Turner and Keith.